Each of William Shakespeare's 38 plays is to be performed in a different language to mark the 2012 London Olympics, it has been announced. Stagings of Julius Caesar in Italian, Troilus and Cressida in Maori and The Tempest in Arabic will form part of the season at Shakespeare's Globe theatre. Lithuanian, Spanish and Greek are among the other languages that will feature. 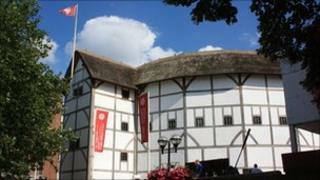 The six-week theatre season, part of the 2012 Cultural Olympiad, will start on 23 April - the Bard's birthday. "It has long been recognised that Shakespeare, as well as a great playwright, has become an international language," said Dominic Dromgoole, the Globe's artistic director. "We want to celebrate this international affection by welcoming Shakespeare enthusiasts - producers, performers and audiences - to experience his work in their own languages and dialects." Visitors to the theatre on London's South Bank will be able to see The Taming of the Shrew in Urdu, King Lear in Australian Aboriginal languages and Titus Andronicus in Cantonese. Companies from around the world will participate in the season, described as "the most ambitious multilingual Shakespeare project ever attempted". Meanwhile, the Globe has confirmed it is to move forward with the completion of an indoor Jacobean theatre beside its existing open-air playhouse. The auditorium will be the most complete recreation of an English Renaissance indoor theatre yet attempted. It is hoped construction work will begin next year within the shell that already exists on the Globe site.